Eastern Thespians Ltd presents Uttoradhikaar (The inheritance), a story of identity, roots and love. 1958, Goa - Margarita De Cunha, Portuguese by descent and Goan by birth, struggles to save her estate amidst political turbulence as India and Portugal wrangle over Goa’s ownership, thus raising questions on identity, roots and love. The play is set against a backdrop of two seismic moments in the history of Goa - almost five hundred years apart - when established orders changed, the play uses the Pirandellian interplay of reality and illusion to explore the complex issues of identity and roots, of being and belonging seen through characters caught in the shifting sands of human displacement. professional demands, over the next 3 years, the group produced an original, new play every year. 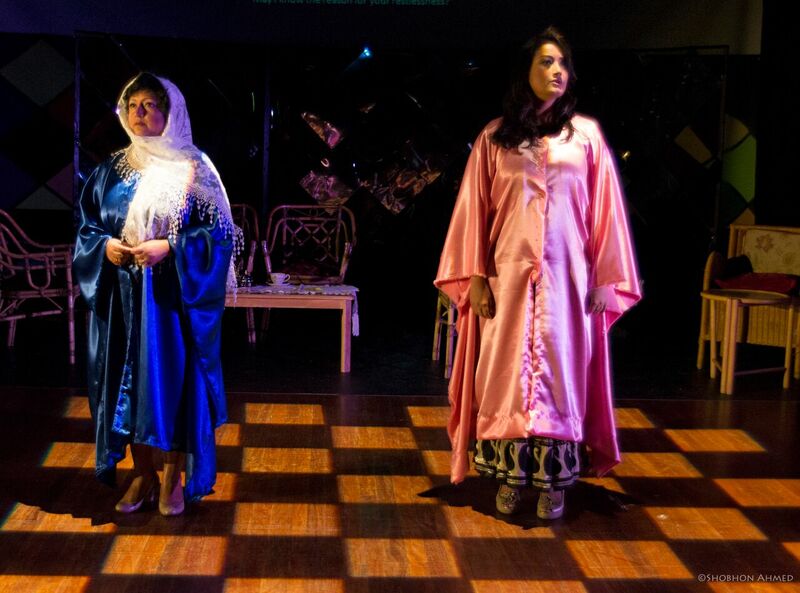 Eastern Thespians brings live theatre that is vital, thought provoking and engaging. Their productions in Bengali are subtitled in English to make them available to a wider audience. 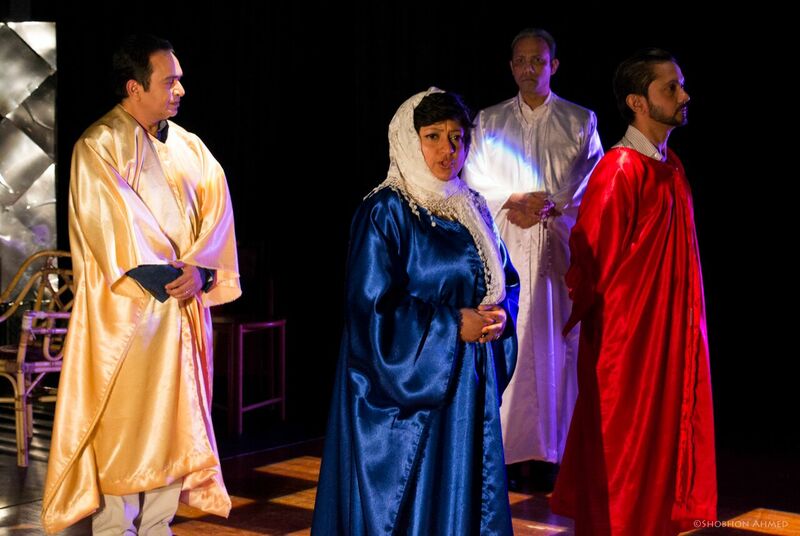 Drawing on the rich resources of both eastern and western life, thought, philosophy and art forms, Eastern Thespians explores various genres of theatre and brings forth productions that have wide appeal to the country's multilingual and multicultural population. Their previous productions, Artho (The Meaning of Wealth) and Mook (The Unspoken) have been performed in various venues in London and attracted both critical and public acclaim. Uttoradhikaar is written and directed by Debasish Banerjee He is also part of the cast with Chandrayee Sengupta, Suchira Roy, Samrat Sengupta, Shiblu Chowdhury and Chandan MMH. Debasish Bannerjee is an experienced actor and scriptwriter in theatre, television and film. He has worked as an actor in the renowned Open Theatre group in Kolkata, India, having performed in, amongst other plays, adaptations of plays by Luigi Pirandello, Bertolt Brecht and musicals, Man of La Mancha and West Side Story. Debasish has worked as an actor and scriptwriter for various Indian television channels. He has acted in Roland Joffe’s City of Joy. Suchira Ray has recently joined the Thespians and Uttoradhikar will be her first performance. At a young age she trained in the Indian classical dance form of Kathak from Bharatiya Vidya Bhavan, London and in Ballet. Chandrayee Sengupta is trained in Indian classical dance forms of Bharatnatyam and Kathakali and has performed in India and the UK. She has directed a television documentary on Rabindranath Tagore, the Nobel Laureate Indian poet. She has brought her stage experience to theatre as an actor in Artho and her work as a production manager has been instrumental in building the team. Shiblu Chowdhury has over 18 years of theatre experience as an actor having performed in over 25 plays and over 300 stage performances in Bangladesh and the UK. 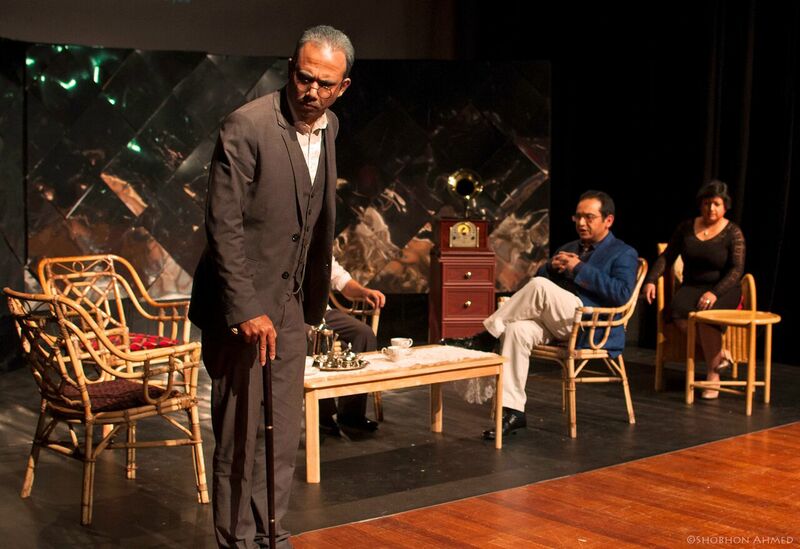 Chowdhury practices method acting influenced by the Constantin Stanislavski school. He has experience in script writing- few to name are Osprishya (The Untouchable), and Ekti Rat Ekti Golpo (A Story of a Night). He is a well-known host on Bengali TV channels in the UK. Chandan MMH started theatre activity at college with Dhaka Little Theatre. Ora Kodom Ali, RupkothaChuranabbai, Kofin and Venice Soudagor (Merchant of Venice) were the major plays in which he performed more than 40 shows. .Chandan was involved with alternative film movement in Dhaka and participated in making of a number of documentary films. Few to mention are The Dreaming Vendor, on human trafficking and Rana Plaza, a documentary on industrial building collapse. Samrat Sengupta worked in theatre and television serials in Kolkata, prior to arriving in the UK in 1994 to act in a theatre festival, organised by Manchester City of Drama. His career spans over two decades in the UK, acting in theatre, television adverts, professional role plays and museums as a story teller. This 110 minutes long play will be held at Chelsea Theatre, London, on Saturday 13th June 2015, 6;30 pm. They will also be featuring at the Edfringe Festival, Edinburgh during the bank holiday weekend of August; Friday 28th August to Monday 31st August 2015.